What Is The Gilbert Rental Tax? The Gilbert Town Council put in effect an a 1.5% transaction privilege tax on October 1, 2010. Previously, the ordinance only applied to property owners who owned three or more residential units in the state. There has been much confusion on the tax, and most Gilbert residents have not been aware of the tax until lately. Even though the tax was initiated in October of 2010 Gilbert is just now starting to enforce and collect the tax. If you do have a rental you have to initiate the tax by following these steps. Because many rental owners are unaware of the changes they have not registered their rental properties and therefore have not starting paying taxes. Details are still coming out on the plan, the biggest question still remaining is will Gilbert try to collect the tax revenue dating back to the passage of the bill that has so far went uncollected. What we do know is Gilbert has hired four full time employees that are to be tasked with getting the program up and running and collecting the transaction privileged tax from this point moving forward. If my residential rental unit is now taxable, what do I need to do? All residential rental property owners must obtain a transaction privilege tax (TPT) license from the Arizona Department of Revenue. License applications are available on their website at www.azdor.gov or at the East Valley Department of Revenue Office located at 275 E German, Bldg 2, Suite 180 in Gilbert, AZ 85297. How much is the license fee? There is a one-time license fee of $2.00 for the Town of Gilbert only option of the TPT license. You will need to indicate that the License Type is “TPT for Cities Only” on the application (Section A, Question #1). How do I remit my transaction privilege tax (TPT) due to the Town? Gilbert is a “program city” with the Arizona Department of Revenue which means that all tax is paid through them. Owners of residential rental units will be required to report their rental income and remit the tax to the Department of Revenue on a monthly basis. If a residential unit becomes subject to tax on October 1, 2010, the first tax return will cover the period October 1, 2010 through October 31, 2010 and is due by November 20, 2010. Tax return forms are available online at www.azdor.gov under the forms tab. The monthly form is entitled TPT-1. You may also complete the form and pay online at www.aztaxes.gov. My rental unit is currently vacant; do I still need to file a return? Yes. Even if you had zero rental income, you are still required to file a return. On the return you will indicate no activity for the reporting period. My property is managed by a property management company. Can they obtain my license and file my returns? A property management company may complete the license application for the property owner; however, the property owner must sign the application. Monthly forms will need to be submitted for the property reporting the rent amount and the tax collected. Many property management companies collect the tax from the tenants and submit under their TPT number on behalf of the property owner. It is the responsibility of the property owner to make sure the tax is submitted as required by law. If a landlord lives in Gilbert but only owns rental property outside of Gilbert Town limits, does he or she still need a Gilbert tax license (TPT)? No. 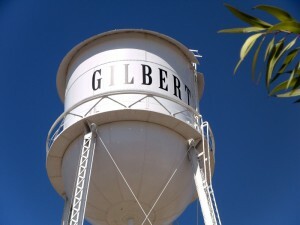 A Gilbert license is not required if all of the property is located outside of Gilbert. However, the landlord should contact the city where the rentals are located to determine their specific licensing requirements. 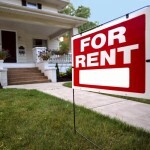 What if I currently have a lease on my rental property? Many leases contain a clause that states the tenant will pay any applicable taxes due. We recommend that you review your current lease document and, if necessary, seek appropriate legal advice. How was the public notified of the code change? Must Read Investment Tips – Do You Need an LLC? Investing in real estate here in Arizona can either be an amazing venture or a bankruptcy waiting to happen. Investing in Arizona real estate is about making a profit so that you can invest in another home, and continue that profitable margin so that eventually you have many properties and many years of success. But, as we well know, investing in Arizona real estate can be tricky, which is why speaking with legal counsel is a wonderful first step. Before jumping into real estate investing, take some time to truly analyze your strategy. Why are you investing? What types of income are you hoping to reap from investing? What type of investing are you looking to do; tax benefit realization, property appreciation, principal reduction or cash flow? Will you be a passive or active investor? Will you be investing in apartments or commercial property? 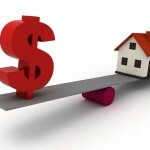 Understanding the risks involved with Arizona real estate investing in also a crucial step. 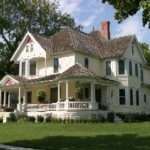 Have you taken into account taxes, utilities, insurance, and any renovations that need to be made to the property? If you’re investing in a commercial real estate, have you factored in any management? Understanding the profits vs the risks is crucial as well. Are you looking for appreciation real estate, where upgrades in the area will add value to a property? How much value will be added to this property vs how much you will spend on purchasing and renovations? Will you be looking into commercial investments, where cash flow will depend on what you can charge in rent? Before you make any decisions about investing in Arizona real estate, sit down with some legal counsel to determine if an LLC will benefit you. By establishing a Limited Liability Company for your investment properties, you will be protecting yourself against liability and financial risks related to that purchase. As an LLC, should something go wrong with the investment property, whether it’s a commercial investment or single-family investment, your personal assets will remain protected. You can form a company owning real estate that can be served quite well under an LLC. As an LLC, you can protect your personal assets such as stocks, bank accounts, and/or vehicles should the renter of your property file a claim against you. Commercially owned investments and rental properties come with great financial risk such as potential environmental claims, fire-related claims, slip and fall claims, and a variety of injury claims. It is crucial that you protect your personal assets against these claims with an LLC. If you are interested in investing in Arizona real estate, contact us today to get started. If you are interested in setting up an LLC to protect your assets, contact Scott Schoeller. Is a $499 iPad a bargain compared to one that costs $500? Not exactly. But retailers have long priced products just below a round number because, psychologically, $499 feels more like a deal than $500, even if the difference is only $1. In real estate, the “99″ strategy is nearly always employed. For instance, if a seller prices their home at $499K instead of $500K, the $1K they lose will cover some of the buyer’s closing costs, but in the buyer’s mind, they are paying $500K. In most cases, though, knocking off $1K to bring the price below a rounded figure doesn’t make that much difference to a buyer or seller. Nonetheless, there’s a fair amount of psychology — and strategy — that goes into determining a home’s asking price. If you’re a seller, you and your real estate agent should identify (and agree on) the approximate value of the property. Let’s say you determine your home is worth around $500K, based on comparables of similar properties sold in your neighborhood and other market considerations. The next step is to understand the price range for the list price — in this case, somewhere between $480K and $520K, depending on market conditions, competing properties, time of year or inventory. The price range typically goes a bit higher with more expensive properties; a home worth about $1 million might have a range of $950K to $1.05 million. Once you know your home’s value and have a price range in mind, it’s time nail down the final “list” price. Given the high stakes of real estate, a buyer doesn’t want to be the only one interested in a house. By pricing your property on the lower end of the value range, you could stimulate interest among more than one buyer and create a herd mentality. Also, if you’re under the gun to sell quickly, this would be a good option. Most buyers tell their agent they want a three-bedroom home in a certain neighborhood under $500K (or some other dollar amount). Their real estate agent may then set up an automated buyer search in their local database for properties under $500K. But if a home is listed at $510K, that buyer will miss it. So, if your list price is higher out of the gates, you may miss a segment of buyers. While this scenario happens frequently, many savvy agents will set up search parameters for their buyers to include properties listed a little bit more above their price ceiling. Knowing how flexible home prices can be, buyers should be made aware of properties that could be a good match for them, even if those homes are above — but within reasonable range of — what they want to pay. Often times the buyer can offer under the list price, or the property will get reduced. 3. Don’t get ‘creative’ with your asking price. Many clients want to price their home to catch someones attention. For example an asking price of $477,777, or $606,060.60. Such an oddly specific figure calls attention to itself for no good reason, like a house painted purple. Buyers will often wonder why the seller chose that figure. From there, they get curious about who the seller is, and so on. In my experience, it’s best to keep the seller far in the background, if not entirely invisible. That’s why we have sellers remove all their personal stuff (such as photos, diplomas, and such) from their homes and decorate in neutral colors. The goal is to showcase the property, not the seller, and to appeal to as wide an audience as possible. Getting quirky with your asking price counteracts this tried-and-true strategy. Sometimes, sellers have high expectations about their property’s appeal and they want to ask top dollar for it, even if their agent doesn’t believe they’ll get it. Or perhaps another agent they talked to planted a high price tag in their mind. Whatever the reason, as a listing agent, I’ll agree to try and sell the home at the higher price. But before the “For Sale” sign goes up, I always try to work out a contingency plan with the seller, in case the property doesn’t go for the desired price. By having everything on the table from the get-go, we’ll have a plan B should the first plan fail. This saves time and helps set the appropriate expectations in the seller’s mind, so there are no unpleasant surprises down the road. Ultimately, listen carefully to your agent’s pricing strategy. It’s their job to know what works and doesn’t. And as with any strategy, be prepared to have an ongoing discussion about pricing with your real estate agent. Pricing a home isn’t a “set-and-forget” procedure. A lot of factors can come into play when selling or buying a home, and not all of them can be anticipated. If you can be flexible and react quickly to changing market conditions or new information, you’re more likely to get the best price with the least aggravation. Buying a home within a local, state or national historic district in Arizona most likely means you’re buying into a fascinating neighborhood with important history behind it. But along with the great past of your new home, there are all sorts of opportunities as well as important considerations to keep in mind. Check with your real estate agent or local city government to understand what you can or can’t do to your home. Some cities have specific permits or building codes for historic districts that cover such areas: potential add-ons, types of windows allowed or various other exterior improvements on a historic home. Many districts have tax incentives available for those that rehabilitate their home using approved standards. Some of these incentives have fairly distinct time requirements so check out all the rules in advance to maximize the possibilities. Most local libraries have a wealth of information on historic homes. Finding original photos of your home not only will impress your guests, but can also help you assess potential improvements to match up your home to its original look and feel. Whether you like to do it yourself or have others help you, odds are you’ll find something unexpected when you take on a home improvement project. Often, new homeowners of historic homes find things ranging from beautiful wainscoting behind wallboards or original woodwork sandwiched in between studs, behind a wall. The general rule is if you find it — make use of it! Phoenix was the poster child for the housing bubble: Speculation sent home prices soaring by annual double-digit increases for three years until the bubble popped in 2007 and they have fallen more than 47% since. Foreclosures have been a big problem in Arizona and many people who lost their homes are now renting. As a result, rents are on the rise. Local Market Monitor estimates rents will increase by more than $100 a month over the next three years. The two biggest positives for those looking to invest in rental properties in Phoenix, according to Winzer, are that the job market is growing again and people are still moving to town. In fact, the population has grown by 8% since 2006. He expects rental investments to pay 2.3% bigger return in the Phoenix metro area than the national average. The foreclosures have forced home prices to all time low’s while the rental market is red hot. It looks like the market for investment homes will stay strong for the foreseeable future. A founder and former chief operating officer of ForSalebyOwner.com, a large website for owner sales, spent six months trying to sell his condominium himself through online listings and classified ads, before turning over the listing of the 2,000-square-foot apartment to a broker. The broker, Jesse Buckler, who is with Bond of New York, said he told the seller the apartment in the Lion’s Head building in New York City was priced too low and wasn’t drawing the right buyers. The Wall Street Journal broke the story. There are certain situations where one can sell a property themselves, but generally “listed” properties sell faster and for more money.